On Ubuntu 18.04, you may want to automount your disk partitions. With this, you don't need to open the partition every time you want to access it. Also, this seriously helps if you work with LibreOffice with your documents in different partition. What you need is the built-in GNOME Disk Utility program and the setting is very easy. It's explained on the instruction below and it's also applicable to Ubuntu 17.10. To start the setting, open up Disks program from menu or simply run gnome-disk-utility from terminal. 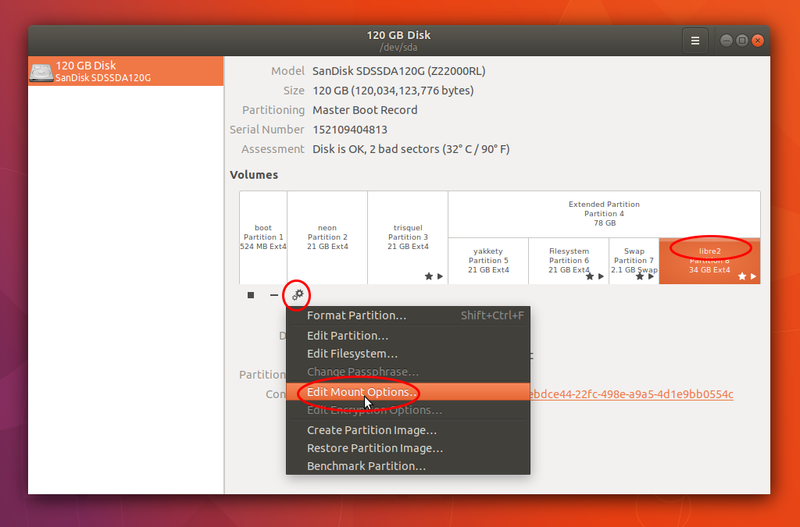 Select your Hard Disk Drive (HDD) from the left panel > select your partition name (in example below: libre2) > click gear button > select Edit Mount Options > a new dialog appears. 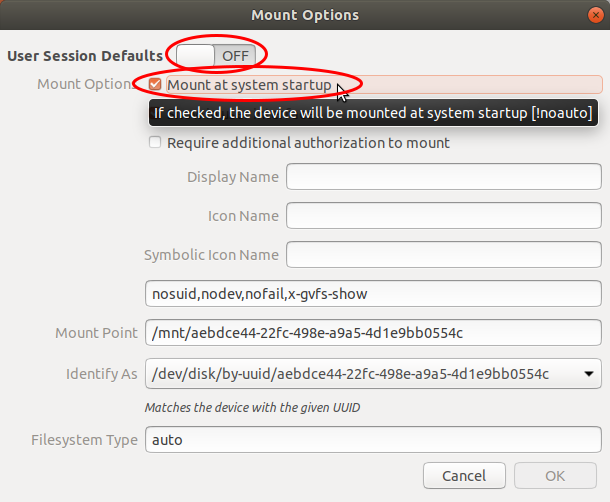 On the Mount Options dialog: turn OFF the first option > give check mark on "Mount at system startup" > leave the rest unchanged > press OK.
Now restart your computer and login back to Ubuntu. The result is here right on your file manager. 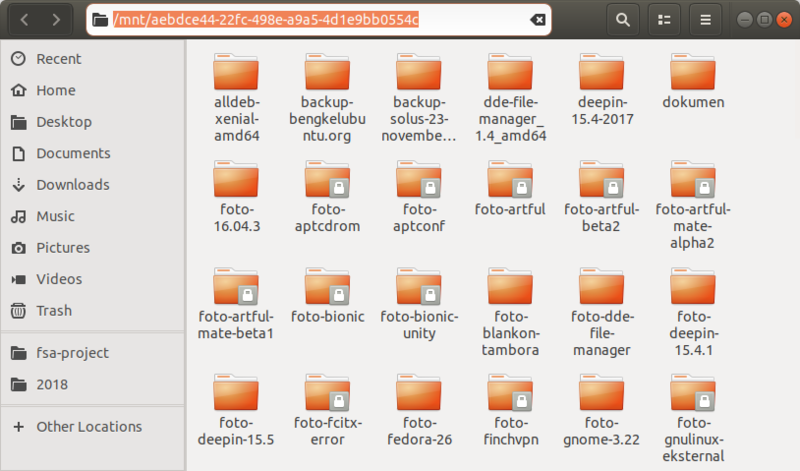 See below, the libre2 partition is automatically mounted right after logged in. 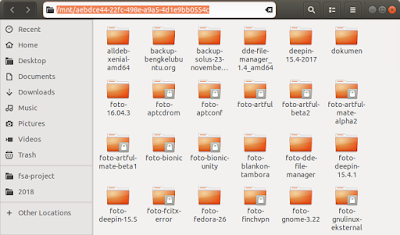 Don't forget partitions you change now mounted to /mnt/[partition-name] and not to /media/[your-name]/[partition-name] anymore. So if you have bookmarks, you may need to change them as well to the new locations. Happy working!